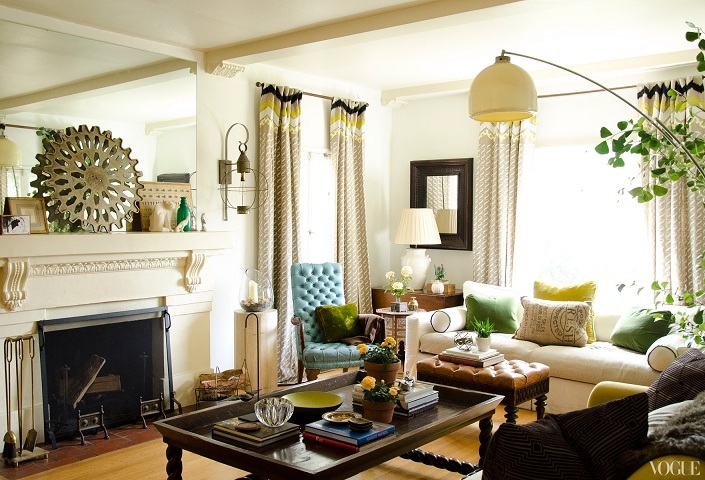 I love the kind of eclectic chic look but mostly in other peoples homes. I always think I would love to try this look with bright colours and effortless mix of colours and fabrics in my own home. I did it in my daughters room when she was younger and I really liked it but I just get tired of it after awhile. She is off to University this fall and we threw around the idea of decorating her room again in colour and texture but guess what...we went back to white with a touch of black. The eclectic feeling in Lake Bell's home is really gorgeous and I would use it as inspiration for a client's place for sure. It is very chic and has incredible style. Her mother is an interior designer and you can see her talent throughout this fabulous home.